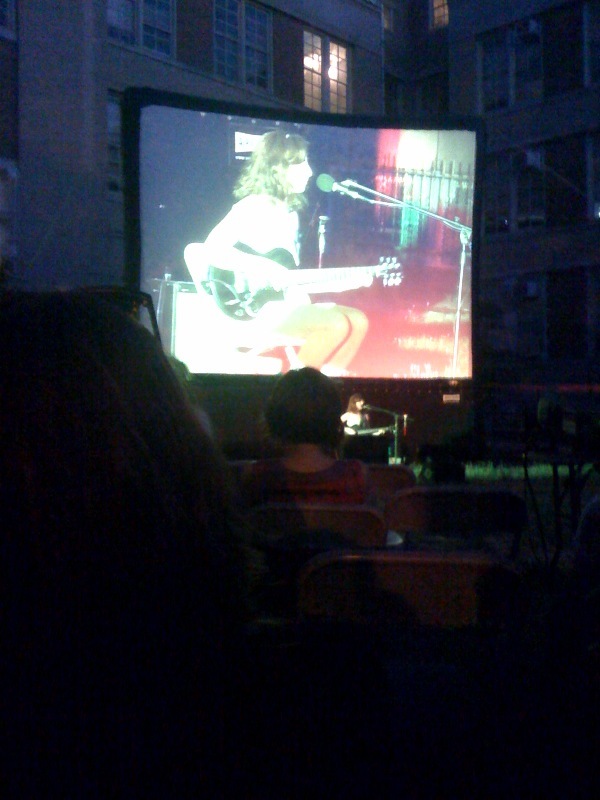 Last Night I went to one of the roof top films screenings. I had a great time and the weather was just right. All of the films shown were about love. It was well scripted documentary about the life of a burlesque dancer and her punk rocker husband. The couple have been together for 26 years and the film walks you through their daily lives and the struggles they have with being married and together so long.